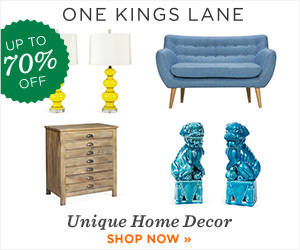 on display in a few furniture stores. 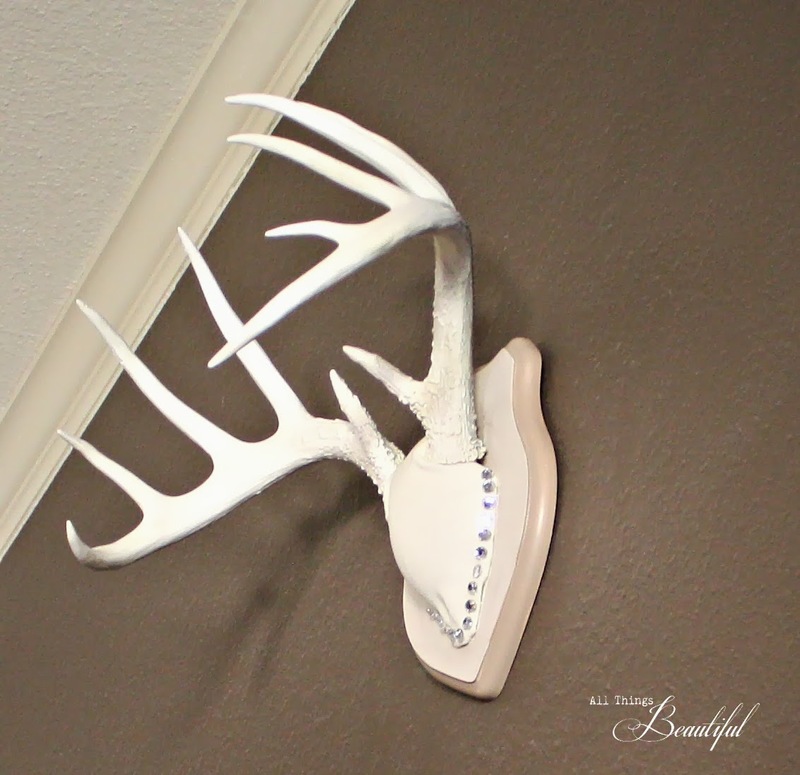 Why not take a regular mounted antler set and paint it to go along with existing decor colors? And add some bling while I'm at it! 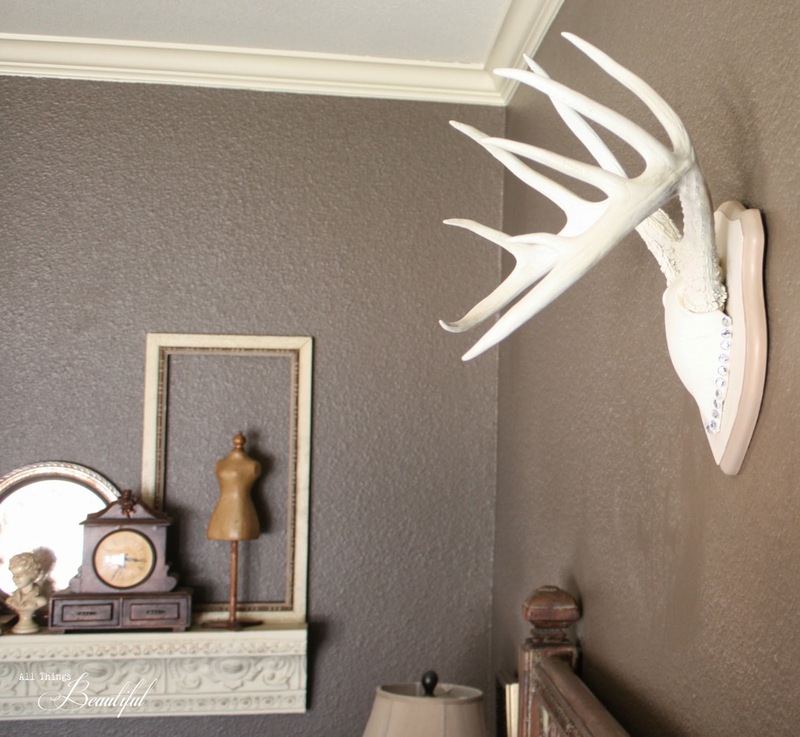 so I spray painted an existing antler mount and wooden plaque. The ivory spray paint was a little too yellow, so I ended up painting it all again using ivory acrylic craft paint. as you might think. The redo's are usually the best ones though. I painted the edge of the wood a tan color for contrast. and painted the face of the wood with that color. to cover the form that's included in the mounting kit. them to the velvet to mimmic the nail head look. 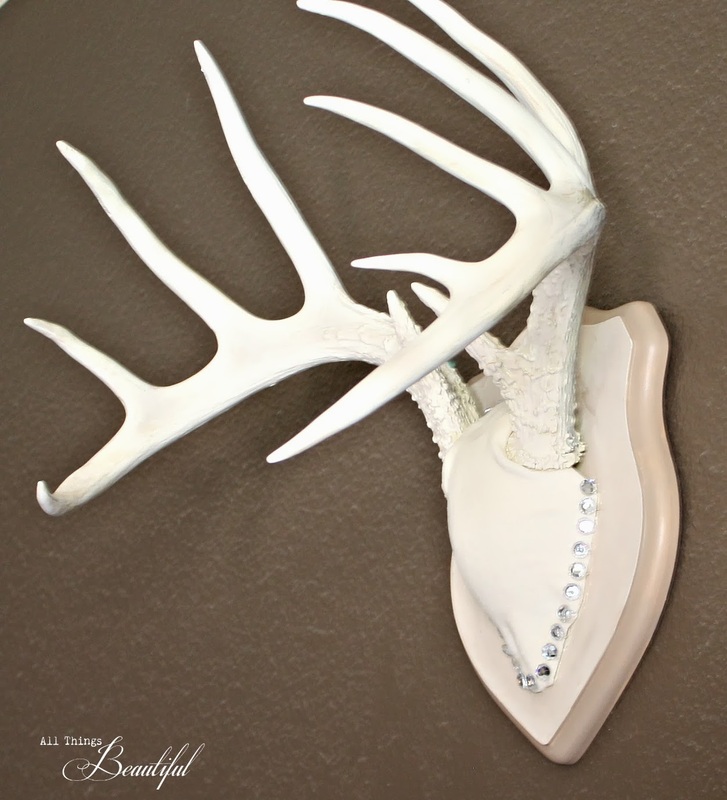 This blingy antler mount is the perfect mixture of masculinity and femininity, which works nicely above the headboard. 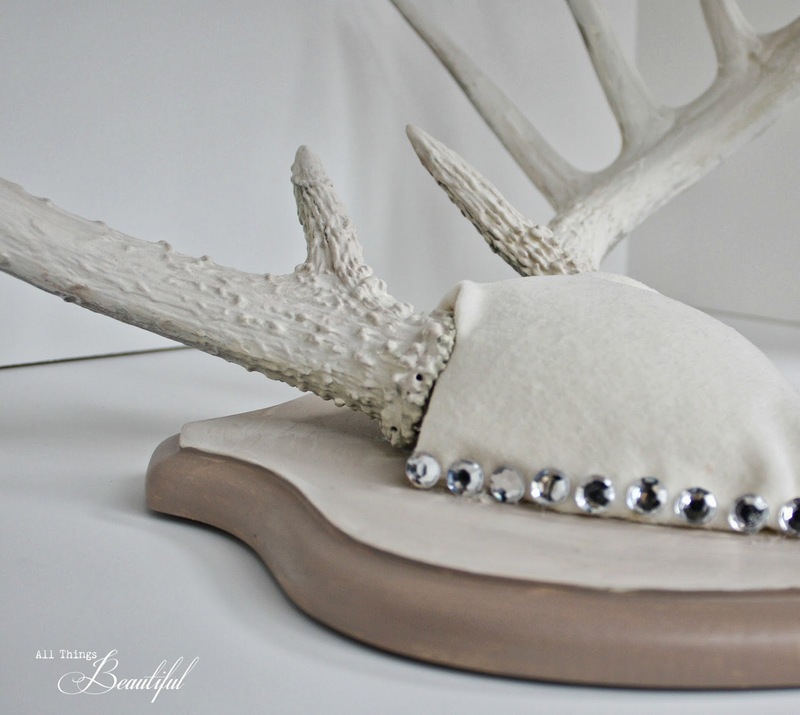 You can see more ways I've used antlers in my decor HERE. 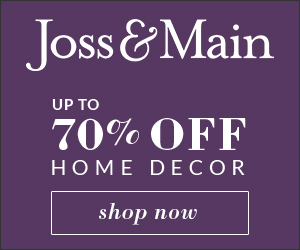 but now that the weather is getting warmer, I'm ready to jump into some Spring projects. 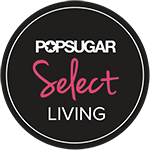 Can't wait to show you! Hi Janis! 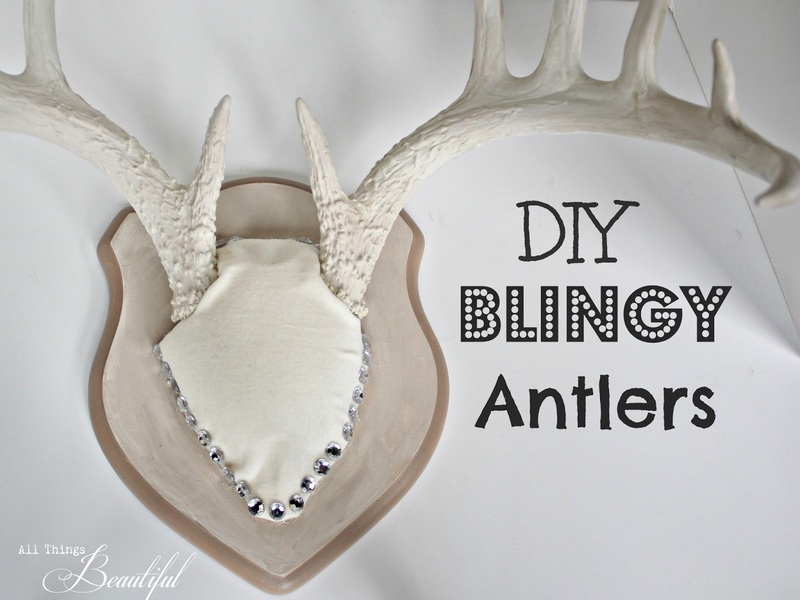 I think you are right, painting the antlers really dressed them up. They look SO GOOD over your bed. Great idea! I love the way you painted them and gave them a little bling! Looks much more current and decorative. 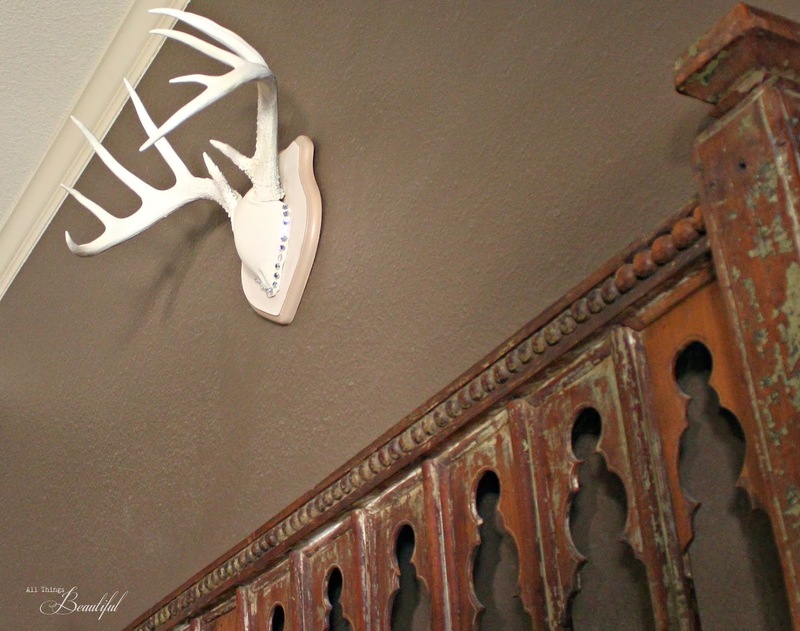 Your antlers are amazing and I love how they look against that fabulous paint color! Janis, these are amazingly beautiful! Of course, I love the bling! :) LOVE the area you live in...that's where I would like to be too. 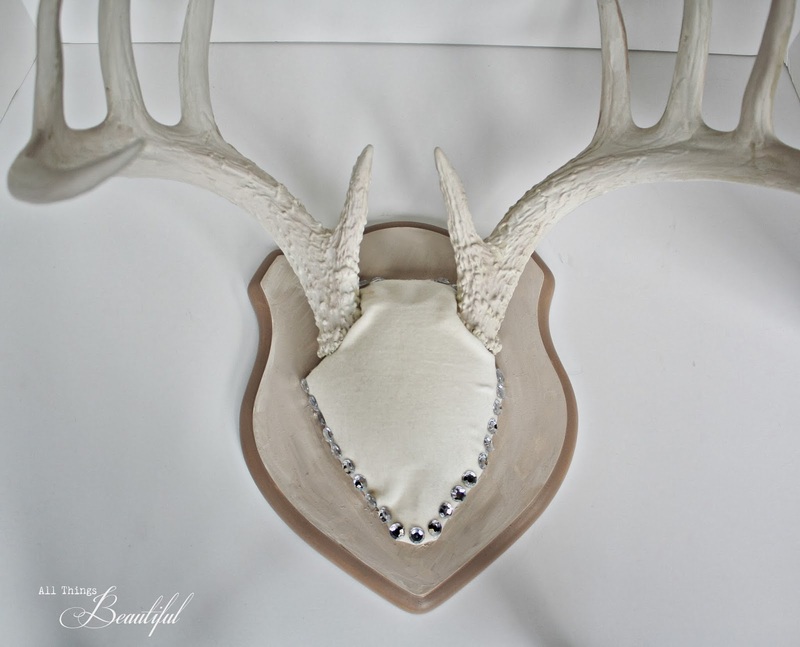 If you find extra antlers, please send them my way. 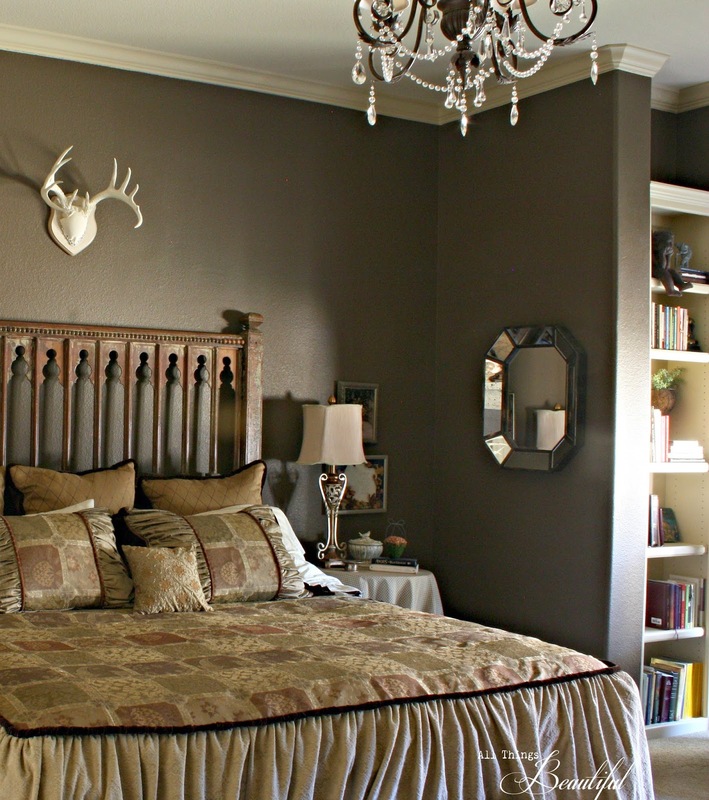 Seriously, you have such good taste and your bedroom is gorgeous!